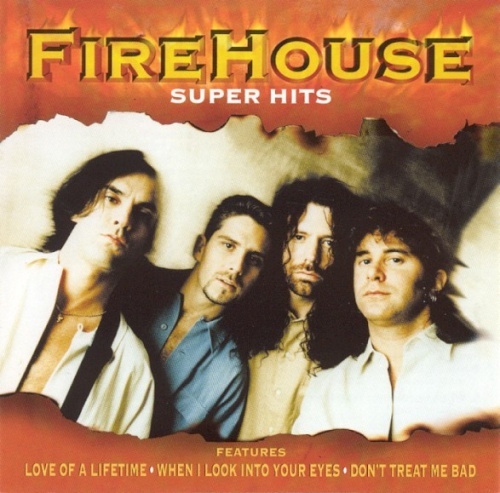 It may be a budget-line, ten-track collection, but Sony's Super Hits is pretty much the definitive retrospective on the pop-metal quartet Firehouse's career. The disc wisely concentrates on the group's first two records, 1991's Firehouse and 1992's Hold Your Fire, which was when the band was at the peak of their popularity. All their hits from these two records are here -- "Don't Treat Me Bad," "Love of a Lifetime," "All She Wrote," "Reach for the Sky," and "When I Look Into Your Eyes" -- except for "Sleeping With You," which just barely scraped the charts at the height of grunge-mania. The other half of the record is devoted to album tracks, including selections from the little-heard Firehouse 3 and Good Acoustics. They might not be as memorable as the hits, but they're pleasant hair metal in the same vein. Truth be told, this music works best as nostalgia for anyone who came of age during the early '90s -- those who remember slow dancing to "Love of a Lifetime" or waving their lighters to power ballads from Slaughter and White Lion -- and anyone who is of that mindset will likely enjoy this concise and rather thorough compilation.